“KANSAI DISCOVER TOURS” offers two menus for visitors to Japan. If you are looking for communication with the Japanese guide or deep knowledge of Japanese culture, we and our guides will endeavor to make your stay in Kansai more enjoyable. We will plan and carry out tours according to customer’s request, with Kansai area as the scope of activities. 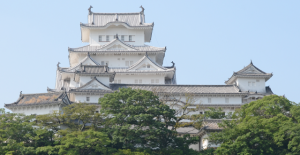 World Heritage and Hyogo Prefecture Himeji Castle Himeji Castle, the main tourist spot in Himeji city, is guided by a professional interpreter guide in English. There are various ways to use such as guides including sightseeing, gourmet and cultural experiences ranging from a short time to a day. Please feel free to contact us first. We can arrange a private tour specially organized to meet your schedule and places of your interest. We cover not only Himeji, but also Osaka, Kyoto and the surrounding areas. Our guides are happy to accompany you for all these destinations. Includes: Guiding fee, Process fee planning on request. Excludes: Admission fee, foods, drinks and transportation fee. Your 3 hours tour will be conducted by a professional English-speaking guide, who will take you around the castle tower, often overlooked spots in Himeji castle. 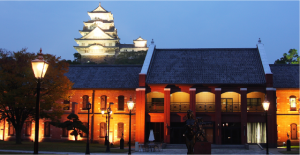 Your guide will give you a deeper look into Himeji castle and Japanese history as a whole. Let’s travel back 400 years, and find out the essence of Japanese history. Please pay the tour fee at the meeting place. * Card payment is not possible. Please understand it beforehand. ※This tour accepts reservations on a first-come-served basis, and operates with a maximum of 5 to 10 people. If there are not more than five people, we will inform you of the impossible by the day before 5pm. ※Private tours are also available. ※BE SURE TO CHECK Tours are walking tours, starting at 10:00 am. Please wear comfortable shoes and clothing and dress for rain or shine! This tour generally lasts 3 hours. ※Only English is available. Even if the Japanese person is accompanied, it becomes the guidance only in English. In order to reduce the load on the body, we do not recommend to climb inside the castle if you have problem with your legs. If you would like to be given up on the way, please contact the guide. The tour will be cancelled during the weather warning. In this case, the person in charge will contact you. If you have a disability or have a medical history, be sure to let us know when you sign up. ※The tour does not include admission fees and transportation costs. If you would like to use a taxi or bus during the tour, please bear it by yourself. Please also bear the burden of the accompanying guide. RECOMMENDED EQUIPMENT Rain gear in case of rain, folding umbrella, towel etc. For inquiries, please contact Himeji convention support.